In 2015, the membership of what was then called the State, Court, & County SIS voted to change the name of the section to "Government Law Libraries" to better reflect the types of libraries represented in the section. 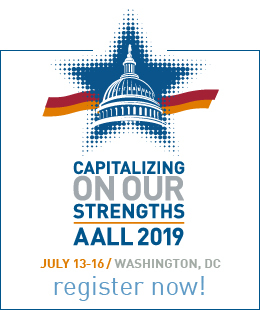 The name change was approved by the AALL Executive Board on June 10, 2015. In 1973, four years before AALL formally recognized the concept of Special Interest Sections, twenty-three law librarians from seventeen states and Canada met in Seattle, Washington to share common concerns. In 1977, the group received formal recognition as a Special Interest Section. For more information on the founding of SCCLL, see: Judith A. Meadows, Where Are They Now? The Founding Members of the State, Court & County Law Libraries Special Interest Section of the American Association of Law Libraries, 87 Law. Libr. J. 51 (1995). Ever since, SCCLL (now GLL) has explored ways to provide a common forum for networking, educational opportunities, and advocacy for our members to foster professional excellence in law librarianship. GLL-SIS currently has more than 530 members representing law libraries at the federal, state, and county government level. Government agency, membership-subscription, and other special law libraries also participate. The work of the Section is carried out by an Executive Board and thirteen standing committees including Awards, Bylaws, Education, Grants, Membership, Newsletter, Nominations, Publicity, Standards, Statistics, Strategic Planning, Trustee Development, and Web Site/Listserv. 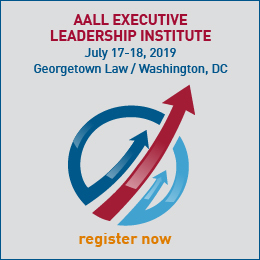 GLL publishes a quarterly newsletter, maintains an electronic discussion, provides a Sourcebook for Law Library Governing Boards and Committees, and sponsors educational programs at each AALL Annual Meeting. Members of the Section participate in all levels of the Association. Membership in the GLL-SIS is open to any AALL member as provided in the AALL Bylaws.